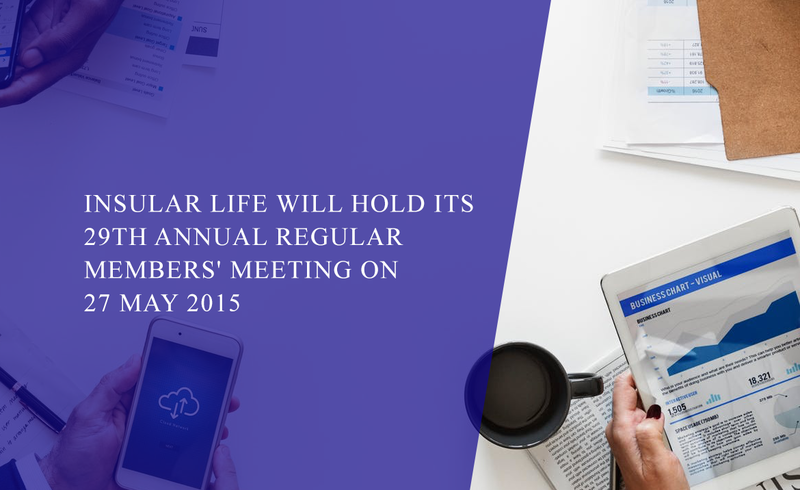 Please be informed that Insular Life will hold its 28th Annual Regular Members' Meeting ("AMM") at 4:15 p.m. on Wednesday, 27 May 2015 at the Insular Life Corporate Centre Auditorium, Insular Life Drive, Filinvest Corporate City, Alabang, Muntinlupa City. Attached is the Notice (Click Here) of the 2014 Annual Regular Members’ Meeting (“Notice”). The Notice contains details relating to the Agenda and Rationale, attendance, voting requirements and proxy requirements. It also contains links to the summary of resolutions approved by the Executive Committee and the Board of Trustees as well as the profiles of the Trustees for election.